Are you a fashionista who wants to be on the pulse of the next big thing in fashion? Do you find yourself constantly checking fashion blogs and lusting after the hot accessories that your favorite starlets have been spotted wearing? If this sounds like you then read on because we have the perfect brand of sunnies that you’ll definitely want to take note of. Jee Vice, a designer eyewear line devoted exclusively to women, has become a fan favorite to many of our beloved Hollywood gals including Anne Hathaway, Sarah Jessica Parker, Rihanna, Marcia Cross, Fergie and more. Lucky for you, they’re getting ready to unveil a simply divine new navigator frame called Catchy this month at International Vision Expo West in Las Vegas. This luxurious brand has a reputation for creating iconic style that is both remarkable in fit and comfort. Each Jee Vice frame is handmade in France and Italy and is designed specifically with the delicate contours of a woman’s face in mind. 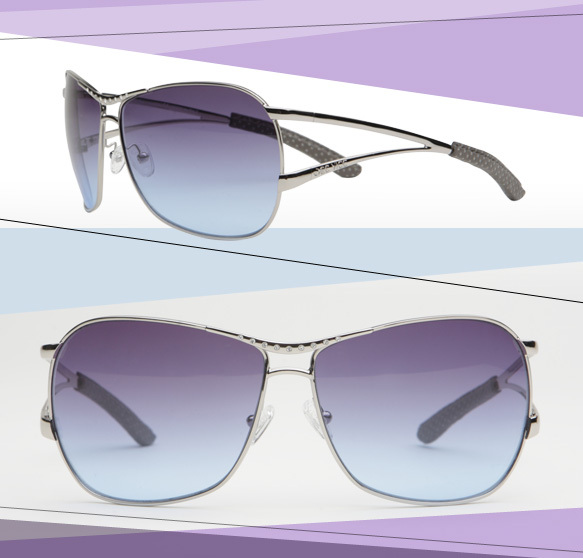 These feminine Catchy shades feature colored gradient lenses, subtle metal detailing on the browline, signature double arms and adjustable nose pads. Available in gold and silver, there’s a whole lot to love about these sassy shades and we can’t wait to get our hands on a pair. For more info about the brand, visit jeevice.com or check out their Facebook page.